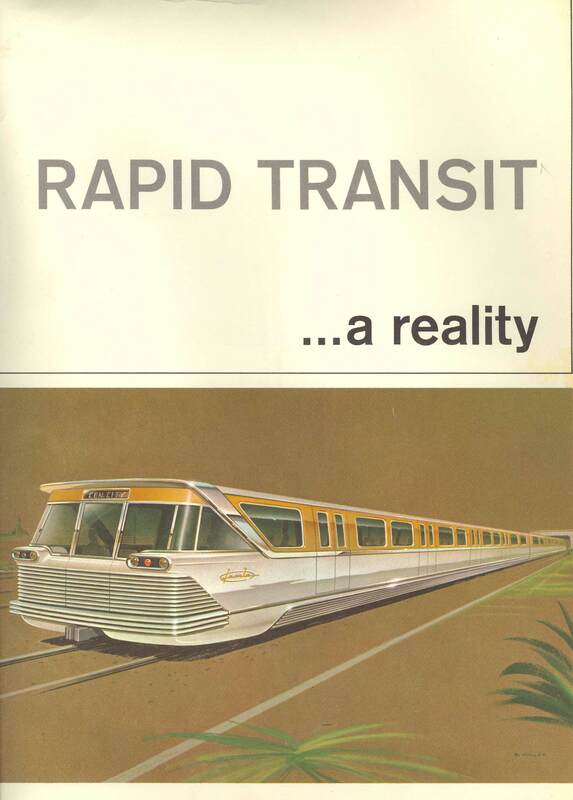 Plucked from the fabulous Metro Library coffers, this cover page from “Rapid Transit – A Reality” shows a proposed ultramodern train on its way to Century City, as well as an ambitious list of other hot spots — all scheduled for completion by July, 1968. The document was part of a 1963 presentation. Accompanying maps show several lines crisscrossing L.A. County in a pattern strikingly similar to the modern Metro Rail system, including lines from downtown to Long Beach, the Eastside, North Hollywood and — still a dream in our modern world — the Westside, including Century City and Westwood.